The transcriber for this cemetery was Stan Schwarze. This index, compiled by the "History Buff" Volunteers, is provided free of charge for non-profit uses. A very special "Thank You" to Lorraine Markee & Kenneth J. Wood for providing a huge amount of this information. Also, thanks to Curtis Bochanyin for making many parental ties. Search the Clark County, Birth Indexes & Death Indexes. 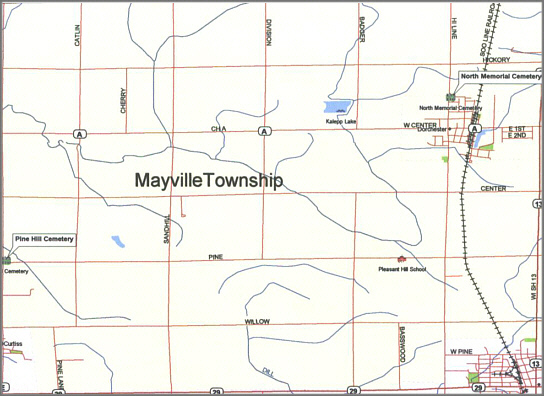 Visit the Mayville Township research page. **The spreadsheets contain a large amount of information and may take several minutes to display. 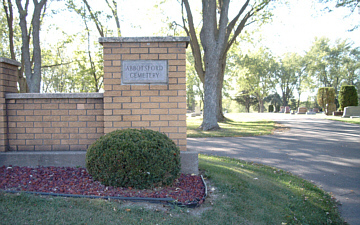 This data was obtained from cemetery & family records, a walk-through, obituaries and biographical sources. The accuracy of the data varies and may include errors. If you have additions or corrections, please contact us.  If you can not find a desired obituary in the ALHN database to verify the entry, you may wish to order a micro-film of a local newspaper from the time frame you are researching. The available newspapers can be requested from the Wisconsin State Historical through your local library. Please consider submitting any newly acquired items to the ALHN Records Board. If you have a bit of extra time, why not type a few unrelated items as a random act of kindness to future researchers?